The Portal products are available for pre-order in the US and Facebook says that these devices will begin shipping in November. In August, a researcher dug out a code in Facebook and Messenger Android apps suggesting a Facebook-owned communication device. 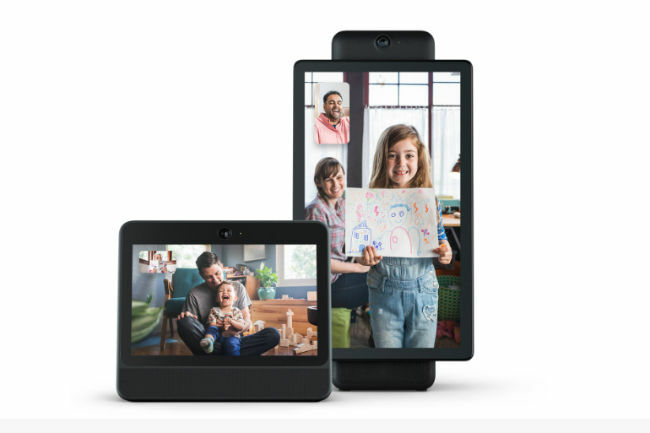 Almost 40 days after the tip, Facebook has launched Portal and Portal+, two AI-powered video calling devices. The social media giant claims that the devices are built while keeping users’ privacy and security in mind, and the tools with the product gives users control of their data. Portal is priced at $199 (approx Rs 14,700) and Portal+ will be up for grabs for $349 (approx 25,900). If someone buys both the devices, the bundle will cost $298 (Rs 22,000). Portal and Portal+ are available now for pre-order in the US and buyers can head to portal.facebook.com, Amazon.com and Best Buy to pre-order the device. Facebook will start shipping the products in November. You can bring Portal home for $199 USD and Portal+ for $349 USD. You can also receive $100 USD off any two devices — this means a bundle of two Portal devices will be priced at $298 USD, so you can share the experience right out of the box. While Portal bears a 10-inch display with a resolution of 1280 x 800, Portal+ features a 15-inch display with 1920 x 1080 resolution. 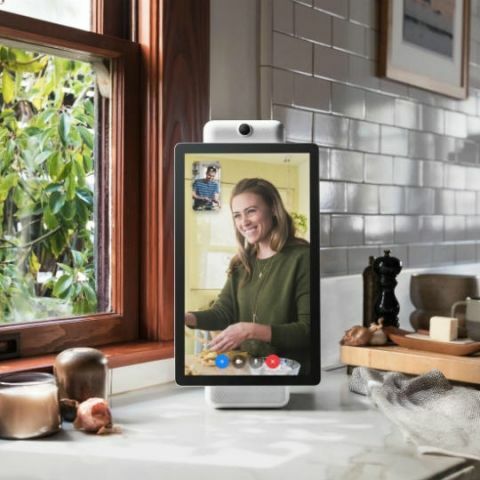 Facebook says that the devices are powered by Amazon’s Artificial Intelligence (AI)-powered virtual assistant Alexa and sport ‘Smart Camera and Smart Sound’ technology for a hands-free experience. The Smart Camera follows actions and automatically pans and zooms to keep the subject in view. The Smart Sound feature minimises the background noise and enhances the voice of whoever is talking. 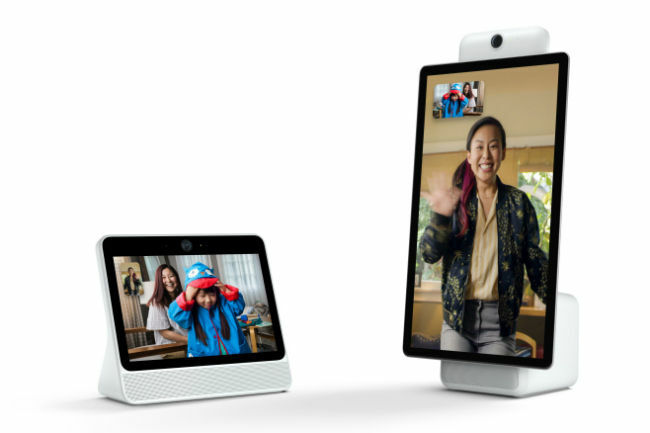 Facebook says that users can just say “Hey Portal” to summon Alexa and start a video call either on Facebook Messenger or any other Portal device. Customers can also use Alexa for other things like check sports scores, weather, control smart home devices, among others. The company says if the person whom you are video calling doesn’t have any of Portal devices, you can still talk to them through Messenger. Calls can also be made from the Messenger-enabled smartphones and tablets to portal devices. Portal also supports group calls of up to seven people. Already facing backlash for its lackadaisical approach on handling user data safely, Facebook says that it has built the Portal devices keeping privacy and security in mind. “We know that privacy and security are important when you bring new technology into your home. That’s why we designed Portal with tools that give you control,” Facebook said. Users can completely disable the camera and microphone with a single tap, just like on Amazon's Echo devices. Portal and Portal+ also come with a camera cover so users can easily block the device’s camera lens and still receive incoming calls and notifications, and use voice commands. To manage Portal access in homes, users can set a four to 12-digit passcode to keep the screen locked. If a user needs to change the passcode of the device, he or she will be required to first confirm the action with the password associated with the connected Facebook account. When it comes to collection of user’s data, Facebook says that it doesn’t listen to, view, or keep the contents of users’ Portal video calls. The Portal conversations stay between the caller and the receiver, and the video calls on Portal are claimed to be encrypted. For added security, Facebook says that the Smart Camera and the Smart Sound use AI technology that runs locally on Portal, not on Facebook servers. Portal’s camera doesn’t use facial recognition and doesn’t identify who you are. “Like other voice-enabled devices, Portal only sends voice commands to Facebook servers after you say, “Hey Portal.” You can delete your Portal’s voice history in your Facebook Activity Log at any time,” Facebook said.